Our second annual list of pet-friendly companies—created in celebration of Take Your Dog to Work Day®—includes breweries, dating services and more! While we celebrate the event each year at our Tewksbury, MA offices—complete with dog grooming and massages, a biscuit bar, raffles, a jumpy house, K9 officer demo and more—we wanted to roll out the red carpet for other companies with a similar passion for pets. 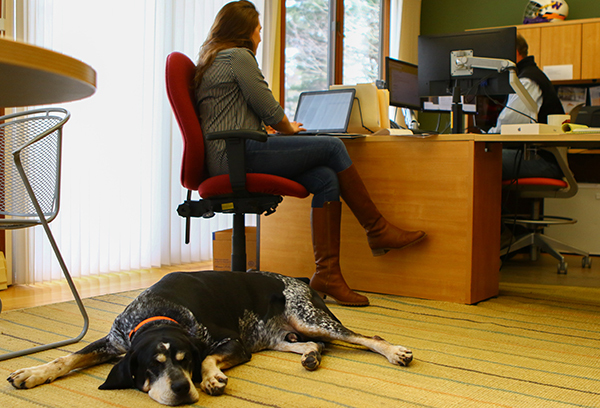 In addition to allowing dogs in the office each day, Tito’s goes above and beyond for pets in need. During the early years of the company, Tito’s Handmade Vodka took in abandoned animals that wandered around its distillery. 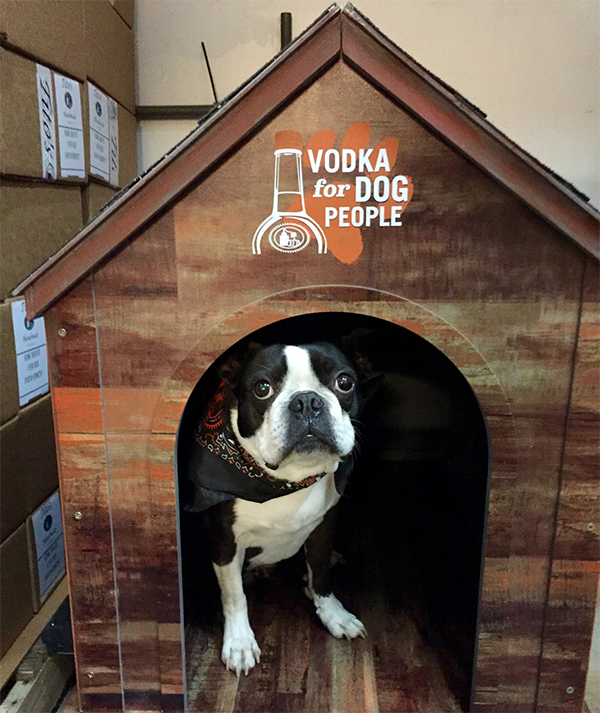 As the company grew, so did its desire to help the community with the launch of its Vodka For Dog People program. The program works alongside animal charities to help save the lives of hundreds of animals. Not only is its office pet-friendly, many of Petcube’s events and corporate functions are as well! 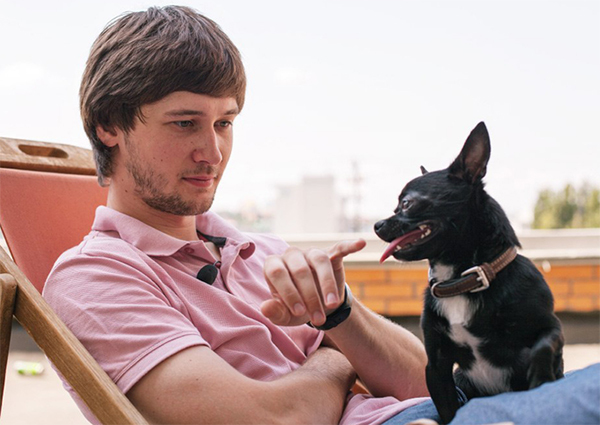 Employees enjoy perks like dog walking and pet sitting, pet insurance, on-demand vet consultations and more through their Petcube Care membership program. Best of all, employees get early access to cutting-edge pet technology products and services that the company is developing. 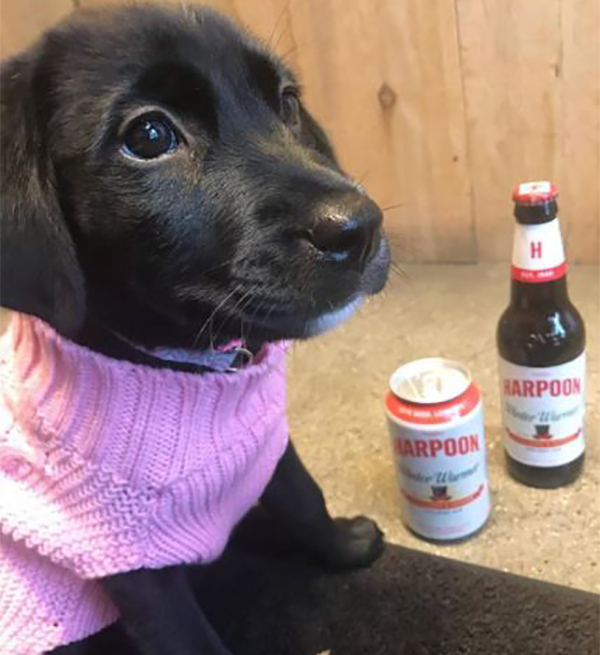 Harpoon Brewery’s CEO, Dan Kenary, is a dog lover who decided to bring that passion to the workplace by allowing dogs in their office every day. Many employees’ dogs frequently visit the Boston and Windsor (NH) Breweries as well. 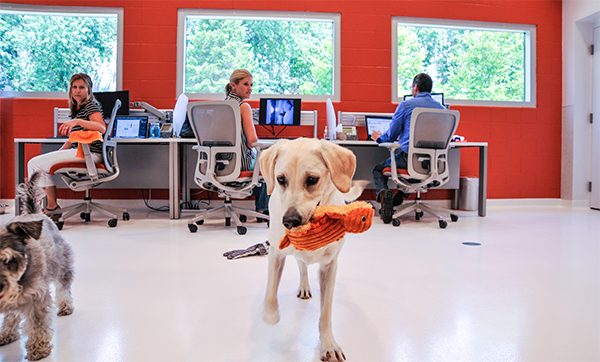 Bissell knows that allowing pets in a workplace can reduce stress and lift spirits, and its annual employee survey indicates that being able to bring their pets to work is a top reason why employees love working there. Their office has Pet Spot, an area designed specifically for pets with dog treats, water bowls, doggy cleanup kits, walking paths as well as occasional special treats, like doggy ice cream. Bissell also infuses its love for pets into its BISSELL Pet Foundation that offers various fun pet-focused products. 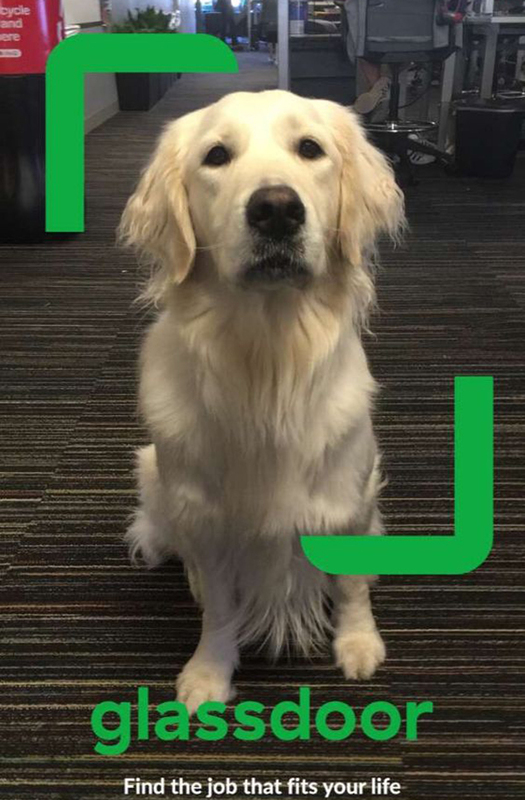 Glassdoor has nearly 30 dogs in its headquarters every day. Knowing that a dog-friendly space allows employees to bring their whole selves to work, the company has had a dog-friendly workplace since 2013 and works to help jobseekers find pet friendly workplaces through its website. The office also has designated areas for those who have allergies to keep everyone safe and comfortable. While the online dating service helps men and women find relationships, Zoosk understands the importance of the relationship between pet parents and their fluffy friends. It welcomes dogs on a daily basis and recognizes a pup per month with a special award. 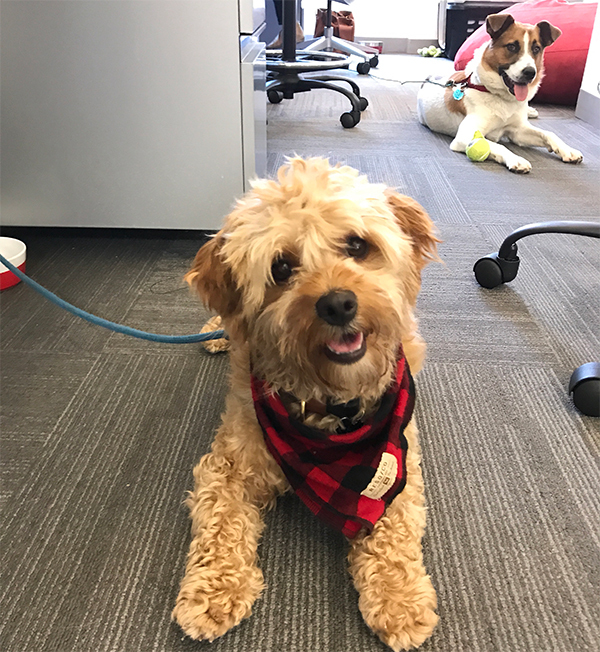 Zoosk thinks the best way for employees to alleviate a “ruff” day is to take a break and play fetch with one of the many Zoosk doggies on staff. As one of the country’s largest suppliers to the health and fitness market, Zogics cares as much about their pets’ health as it does humans! Headquartered in the Berkshires surrounded by acres of outdoor space and 15 miles of dog-friendly trails, a day at its office is pooch paradise. Its “Pawternity” policy gives new pet parents an extra week of PTO, a pet store gift card, and a lifetime supply of Zogics Pet Shampoo. Their pets are also an integral part of their work—which includes an internal Slack channel devoted to pets. 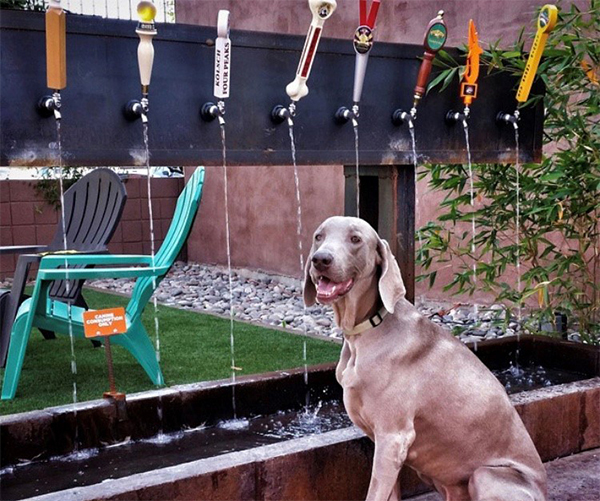 All of its brewery locations have dog-friendly patios and walls filled with images of guest and employees’ dogs. It also offers complimentary homemade dog treats, a burger for dogs, and “barking bars” with taps that pour water for doggy water bowls. The company also hosts monthly giveback nights where 20 percent of sales go to local animal shelters and adoption events. To make the office as comfortable as possible and add an irreplaceable sense of warmth and joy to its work environment that only pups can bring, Fueled allows dogs in its office every day. 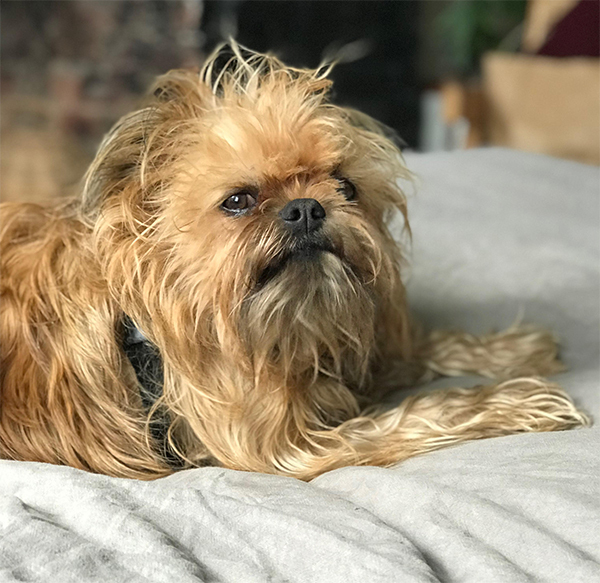 It even has a company dog mascot that has worked alongside employees for years, a Brussels Griffon named Frasier. Employees can’t imagine their office without him! 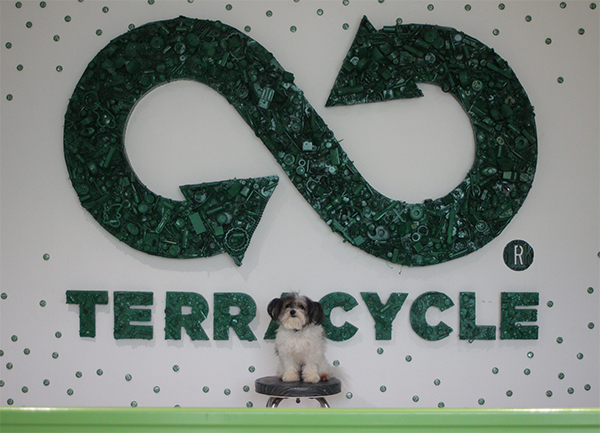 TerraCycle welcomes dogs in its office, with designated conference rooms and outdoor spaces for the office pups. The innovative recycling company is also committed to sustainability in the pet industry, supporting recycling efforts of empty packaging to help minimize the footprint the pet industry leaves behind. In 2015, Wellness Natural Pet Food became the first US-based pet food brand to partner with TerraCycle to provide consumers a free method for recycling their pet food packaging. Consumers can sign up to recycle their Wellness packaging here. 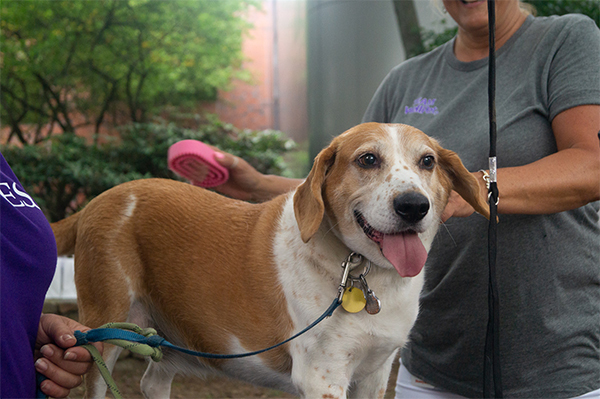 Here, beagle, Harley, gets a free grooming session during Wellness Natural Pet Food's 2017 annual Take Your Dog to Work Day® celebration. See Wellness Natural Pet Food for original post.